Farm Fresh Organic Eggs for Sale. We have had a very long dry spell here where our farm fresh eggs have been missing from our and our customer’s tables. To hear the whole story read my blog post titled SURPRISE! from earlier this year, that explains how we got into this horrible predicament. My new batch of hennies, who have been giving us perfect beautiful little jewels for several months now, suddenly believe that Spring is close enough to ramp up their egg production, a lot! I love this because it means that Spring is nearer, days are longer and warmer, and we once again have eggs for sale! An introduction is in order. We raise a small flock, 17 hens to be exact, on our small farm. They are a mix of breeds, which include, New Hampshire Reds, Black Australorps, Ameraucanas, Black Star, Delaware and Cuckoo Marans. Some breeds are old favorites some are new to us this year. They lay eggs of all shades of brown as well as blue, green and olive. As of now most of the eggs are medium in size with a few larges thrown in. As the hens mature the egg size will increase to Large and Extra Large and even some Jumbos. Each hen has a name; Dot, Polly, Dolly, Addie, Agnes, Betty, Ruby, Fran, and Fancy just to name a few. They are a loud raucous bunch, cackle, cackle, cackle! The hens have a clean house where they safely spend the night, with feed and water, bedding, roosts, and nests to lay their eggs. The have a fenced outdoor pen that protects them from predators during the day. Each day they are turned out to graze in either the garden or the yard, a place where they can gobble up greens and bugs and worms, scratch and dust to their hearts content. We feed an Organic Layer feed made by a mill in Southern Oregon from Organic grain sourced in Oregon. A little Organic scratch grain is also fed as a treat. 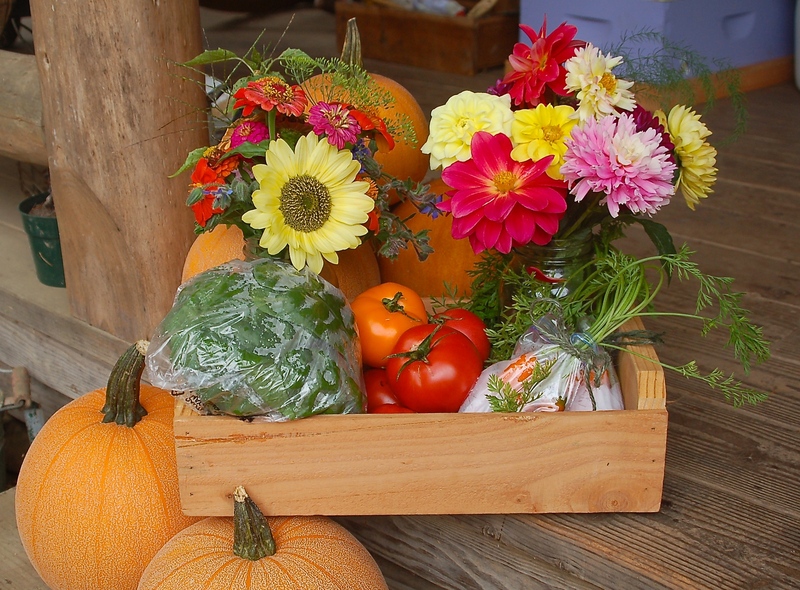 The hens also receive daily goodies from the garden, orchard, barn and kitchen. There are so many labels on egg cartons these days it makes your head spin, especially when the reality of those label claims may not exactly be the picture that pops into your head when you read the label. Our hens are Cage-Free, no cages anywhere. They are Free-Range, they roam outside in the sun, chase bugs, and scratch in the dirt. They are Pasture Raised, have access to fresh greens any day that is nice enough to go outside. Their eggs are Organic, having been fed only Organic feeds from day one, which also means No Antibiotics, Hormones or GMO’s. 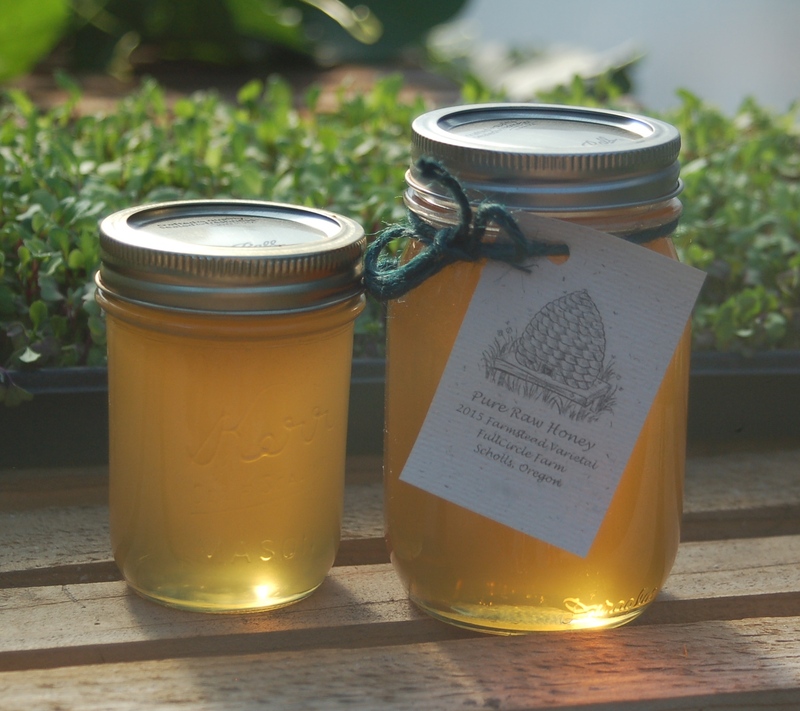 They are also Local, Farm Fresh, Humanely Treated and Hand Gathered. There are a copious amount of claims made on egg carton labels but with our eggs they are true and as for that idyllic picture that pops into your head, it is accurate. The only label that I cannot claim is Vegetarian Fed. 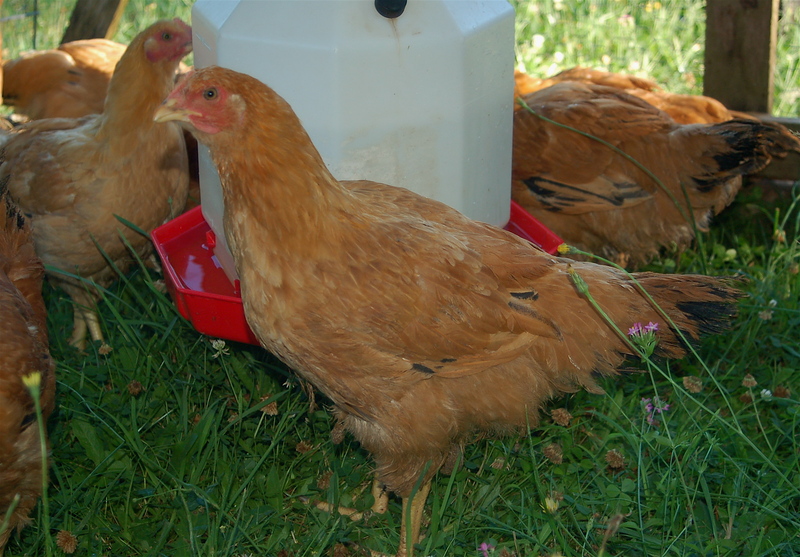 Our hens are Omnivores and do eat bugs, and worms and other protein rich chicken yummies. So that is the story in an egg shell. 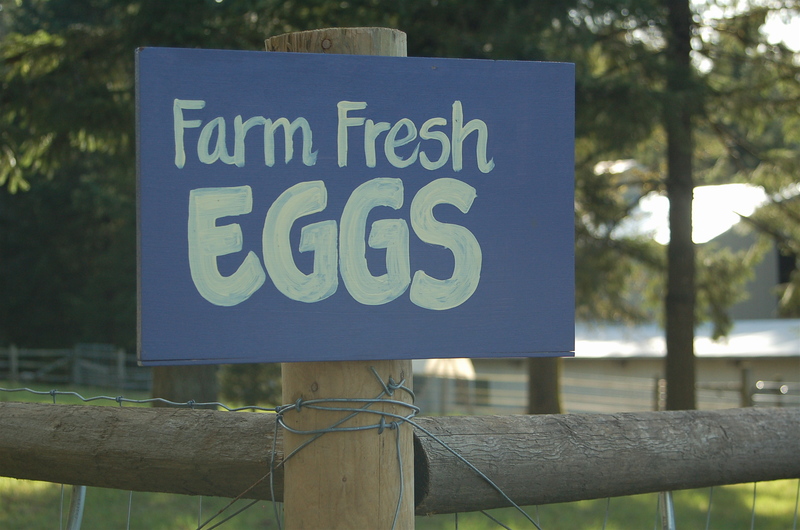 High quality, tasty and nutritious, Farm Fresh Organic Eggs. $6.00 a dozen both now and when they reach the Extra Large/Jumbo stage. I have several openings available for regular weekly egg customers. Thank You from the Hen House!